Organized at Pittsburgh October 16, 1862. Duty at Camp Howe, Pittsburgh, until December 1. Moved to Washington, D. C, thence to Fortress Monroe and Yorktown, Va., December 1-7, and to Gloucester Point, Va., December 8. Attached to Busteed's Independent Brigade, Yorktown, Va., 4th Corps, Dept. of Virginia, to April, 1863. King's Independent Brigade, 4th Corps, Dept. of Virginia, to June, 1863. 1st Division, 4th Corps, Dept. of Virginia, to July, 1863. 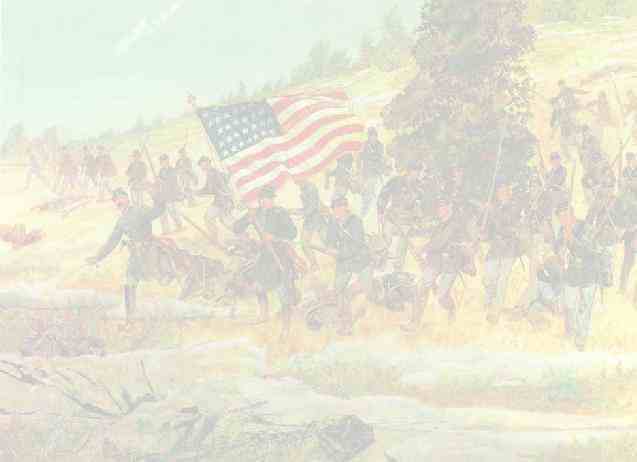 1st Brigade, 3rd Division, 11th Army Corps, Army of the Potomac, to muster out. SERVICE.--Duty at Yorktown and Gloucester Point, Va., until June, 1863. Expedition to Gloucester Court House April 7. Expedition from Yorktown to Walkerton and Aylett's June 4-5. Dix's Peninsula Campaign June 27-July 7. Ordered to Washington, D.C., July 9; thence march to Funkstown, Md. Joined Army of the Potomac at Hagerstown, Md., July 14. Pursuit of Lee to Williamsport, Md. Moved to Harrisburg, Pa., via Baltimore and Philadelphia. Mustered out July 27, 1863. Regiment lost during service 11 by disease. On the 1st of December, the regiment started for Washington, and upon its arrival, was ordered to Fortress Monroe, reporting to General Dix, in command of the Department, on the evening of the 5th. On the morning of the 7th, it was sent to Yorktown, and on the day following, to Gloucester Point, where it went into camp, and drill and the routine of guard and picket duty were commenced. Near the close of the month, it was transferred to Fort Keyes, which it garrisoned, and in addition performed picket duty on its front. Detachments from the regiment were repeatedly sent out into the enemy's country, and were, in a marked degree successful in accomplishing the purpose for which they were sent. While out upon one of these, Corporal Lewis Eaton-who was afterwards fearfully wounded in the battle of Laurel Hill, on the 8th of May, 1864, while serving in the Eighty-third Regiment, receiving no less than five severe wounds through his body,-shot and wounded a rebel Colonel, and brought in his sword and trappings. Considerable sickness prevailed in the command during the winter and spring, and several died. On the 9th of July, 1863, the regiment moved by transport to Washington, and thence marched through Frederick City and Boonesboro, to Funkstown, where it arrived on the 14th, reported to headquarters of the army of the Potomac, and was assigned to duty with the Eleventh Corps. It was at once moved to the front, and came up just in time to see the enemy's pickets retire, the main body of the rebel army having escaped across the river. It joined in the pursuit, making a rapid march to Williamsport, and arrived in time to receive a few parting shots, and to see the rear of the rebel train disappear on the Virginia shore. On the following day it was detached from the corps, and moving back through Hagerstown to Monocacy, returned by rail via Baltimore and Philadelphia, to Harrisburg, where, on the 27th, it was mustered out of service.